Super Single wood (hard) sided waterbed sheets. Super Single waterbed frame is 48 in. x 84 in. Complete Set! Top sheet, bottom sheet, and a matching standard/queen size pillowcase. Six Pockets for convenience. Bottom sheet has four generous pockets to keep the sheet in place, and the non-attached top sheet has two pockets for the foot of the bed. Making up your waterbed just got a whole lot easier! Generous 200 Threads per square inch count. Super Single wood (hard) sided waterbed sheets. Super Single waterbed frame is 48 in. x 84 in. This is a complete set which includes the top sheet, bottom sheet, and a matching standard/queen size pillowcase. 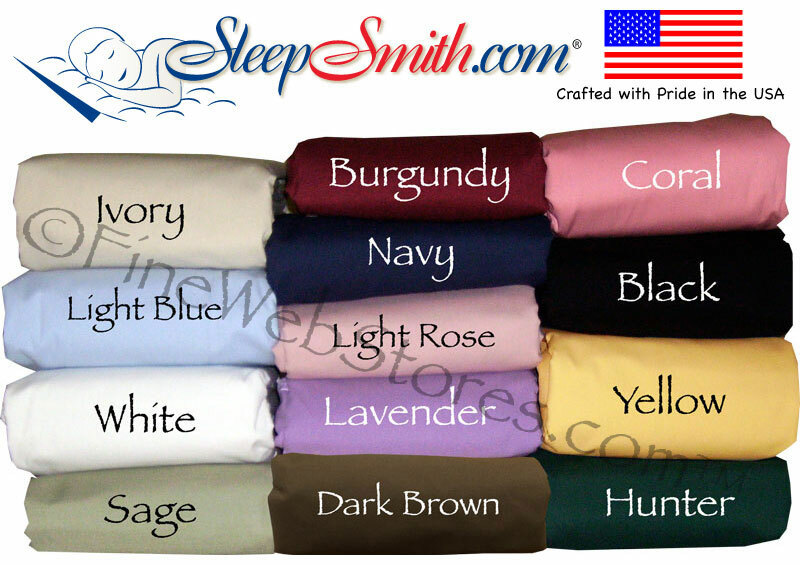 These sheets are made with a 50% cotton and 50% polyester blend for softness. Six Pockets for convenience. Bottom sheet has four generous pockets to keep the sheet in place, and the non-attached top sheet has two pockets for the foot of the bed. There is a generous 200 Threads per square inch count.